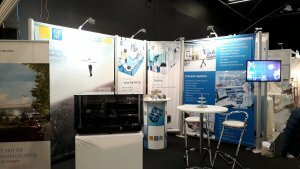 Visit KMWE, booth #49, during the 18th edition of the Precision Fair at the Conference Centre Koningshof in Veldhoven on 14th and 15th November. For over 18 years, the Precision Fair has been the annual meeting point for precision technology. The importance of precision technology for the industry will rise in the upcoming years. New developments such as greater precision and miniaturization are the main reasons for this. These technologies are developing rapidly and the limit hasn’t been reached yet. This requires specialization in many areas. Collaboration between companies and knowledge institutes is an essential part to gain specific knowledge to create new solutions. The 18th edition of the Precision Fair focusses on applications in (aero)space and precision technology in healthcare. The event is freely accessible. Register for free visit.